Dalmiya had complained of chest pain and breathing troubles at around 9 pm on Thursday night. He was rushed to BM Birla hospital and doctors monitored his progress. Hospital sources stated that he was monitored closely. Former India captain Sourav Ganguly also rushed from his Behala residence while West Bengal's minister in-charge of sports Arup Biswas also rushed to the hospital. An Angioplasty was performed on him and his condition remained stable for close to three days. However, he was declared dead on Sunday night. Dr Anil Mishra, who was treating Dalmiya, said he died of "massive gastrointestinal hemorrhage" at 8.45pm. "He was responding to treatment but became unstable in the morning. Our medical board decided to conduct an angioplasty late afternoon. He was stabilised but after that there was a massive gastrointestinal hemorrhage which led to a lot of bleeding. He succumbed to the bleeding at 8.45pm," Dr Mishra said in his official medical bulletin. He confirmed two stents were planted in his heart. 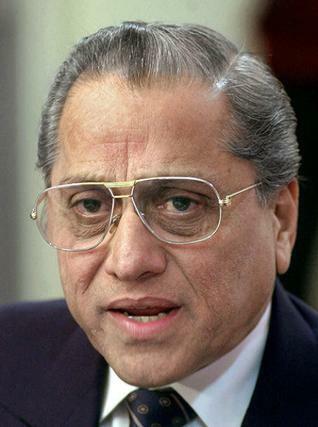 "Dalmiya had served the BCCI for 36 years. He became treasurer of the organisation in 1983 and was instrumental in helping India host the 1987 and 1996 World Cups. He also served as ICC President in 1997. Dalmiya is survived by his wife, his son Abhishek and a daughter. Ever since he took over as BCCI president, he has been plagued by poor health. There were dissenting voices in the BCCI about his failing health and recently there were calls to remove him from the post of president.